Is Elsie Fisher (‘Eighth Grade’) on her way to becoming the 3rd youngest Oscar nominee for Best Actress? NCB Official: Can you tell us why you first became interested in ballet? NCB Official: Well was there any particular aspect of the ballet which caught your imagination? 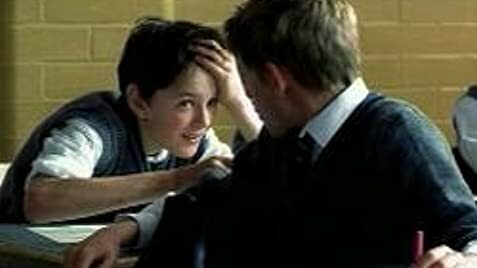 Billy Elliot is by far the most honestly told depiction of middle boyhood I've seen in years, if ever. I was in joyful tatters at the end of this story of a boy struggling to stay true to his calling in an anguished northern English mining town circa 1980. Every working class character in this film is written and uncompromisingly played with great love and understanding of both family and class hardship. Personally I view this film as the finest piece of British "intimiste" cinema I've seen since Mike Leigh's "Secrets and Lies". Yet it has epic elements as well. Billy's personal story unfolds while his home town is occupied by uniformed British strike control forces. This is a tale of inter-masculine struggle in a family and mining town almost devoid of (and yearning for) a balancing feminine presence. Billy's gift is slowly awakened in this stressed and violent male crucible. His relationships with his brother, his father, his genderally confused classmate, and his teacher all grow increasingly charged as the movie develops. For honesty and presence, Jamie Bell as Billy far surpasses Haley Joel Osment's debut in The Sixth Sense. And if that's not enough, Julie Walters, Gary Lewis and Jamie Draven as Billy's teacher, dad and brother are all heartbreakingly portrayed. All are perfectly cast and at the very top of their form. After all these characters have passed through the warzone of the first and second acts, director Steven Daldry delivers perhaps the most perfectly executed third act I have seen in a family centered drama from England or elsewhere. There are countless insightful decisions Daldry makes in the course of this film that other directors will study for years to come. But they're all brought to touching and masterful closure in the third act segments. Kudos to scenarist Lee Hall for an excellent script. It should also be noted that many of DP Brian Tufano's beautifully composed shots match those of the great Chinese and Italian cinematographers. The film is brash in its musical style and forthright in its language. It is a film of specifics and the locale is not dressed up. And unlike many other local color films from England since 1985, this film has a strong, eminently compassionate narrative spine. Many audience members in the show I attended were immobilized and overcome in their seats during credits. 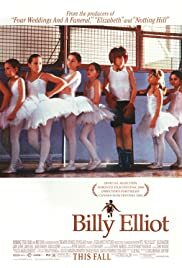 Despite frequent profanity, boys 11 and up should be allowed to see Billy Elliot, if only to keep them from abandoning hope. If it helps even one oppressed and confused boy keep an ear to the faint voice within that might just be his true calling, this film will have been worth every dollar spent in its making. A truly uplifting film.